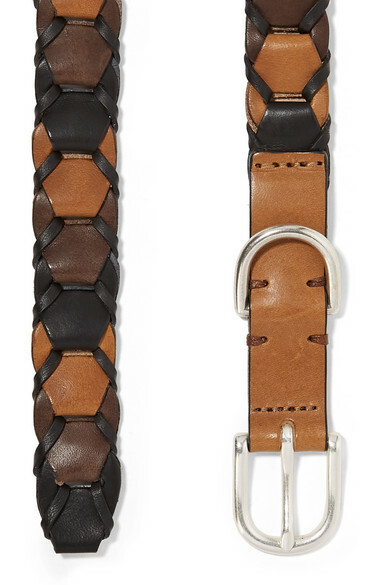 rag & bone's 'Arrow' belt is woven from strips of smooth tonal-brown and black leather and detailed with polished silver hardware. Thread it through the loops of cargo pants or use it to cinch the waist of a maxi dress - fold over the loose end for the coolest take. Shown here with: The Range Dress, Jennifer Fisher Cuff, Sophie Buhai Earrings, Charlotte Chesnais Rings.